Get your Julia Child on and try some of the recipes on these websites. 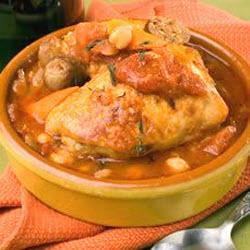 Try Cuisine-France for some traditional recipes such as Coq au Vin and Chicken Fricasee. At French Food and Cooks you’ll find menus for complete meals or buffets and links to fine French recipes. Go to AF Touch Cuisine to find French regional recipes for such delicacies as gazpacho and gruyere cheese soufflé. This site also lists the best restaurants in each of France’s twenty-two regions. 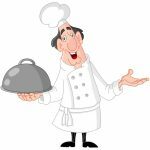 French Cooking Food.com is a great site for recipes for everything from starters to fish to vegetarian dishes. There are also how-to videos for many recipes. Lartisanmacaron.com is a French pastry website for those who want to eat French pastries without baking them. Order your French pastries here. In the UK you can order French food specialties at Frenchclick.co.uk. Have You Heard About Meatless Monday? 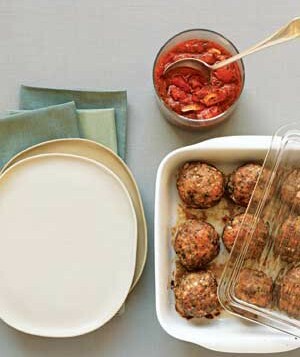 January 8, 2013 grannyguru Comments Off on Have You Heard About Meatless Monday?